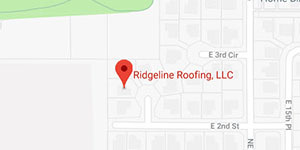 Whether you had a small group of shingles blow off in a major windstorm or if your roof is bowed and might seem like it could give in any day now, call Ridgeline Roofing for any kind of roof repair in Camas. You won’t find a local roofing company anywhere around that can offer the same level of service, quality workmanship, and expertise as our roofing contractors. Plus we work year round because roofing incidents can happen on any day of the year! What about when it’s raining out? While some services can’t be done in the rain (you wouldn’t want your roof taken off your house during a storm!) there are many things we can during the rainy season. Sometimes, we work in increments, waiting for the rain to die down and doing one small section at a time. We’ll protect your attic but keep the roofing materials out and ready along with a weather app so we know when to start working. As for the materials getting wet, it’s no problem; they’re made to protect your home from water! What should I expect as a new client with your roofing company? Free estimates. You likely have a budget set aside for how much you can spend. 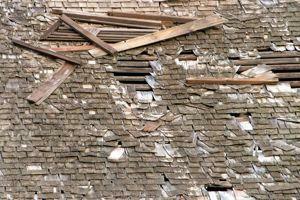 But how can you know what roof repairs we can do right away if you don’t know how much they’ll cost? Because there are so many variables, we start with an estimate using our advanced program that calculates labor and work materials required. On–time arrival. Some roofing companies act like their time is more valuable than yours. We don’t. When we set up an appointment with you, we make sure to stick to it so you can get back to your life as soon as possible. Solid craftsmanship. While some roofing contractors do a quick fix using shoddy materials to hurry through the job, we know how to work quickly without sacrificing quality. We test our repairs and roof replacements to make sure that they last so you won’t be coming back with the same problem anytime soon. Our efficient contractors will take care of your property right! 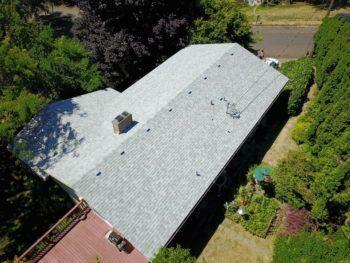 We needed help right away and that’s exactly what Ridgline Roofing gave us. Help right away with our leaky roof.